Halloween is in a week, but I’m already thinking about Christmas. I love Christmas even more than I love Halloween. And decorating my house with all things Christmas makes me so happy. Yeah, I am one of those people who puts up the Christmas tree as early as I can. My husband hates that I try to put it up before Thanksgiving, and tries to prevent me from doing it every year, but I usually win (hey, he’s at work all day, so if I hurry, I can get most of it out before he gets home)! 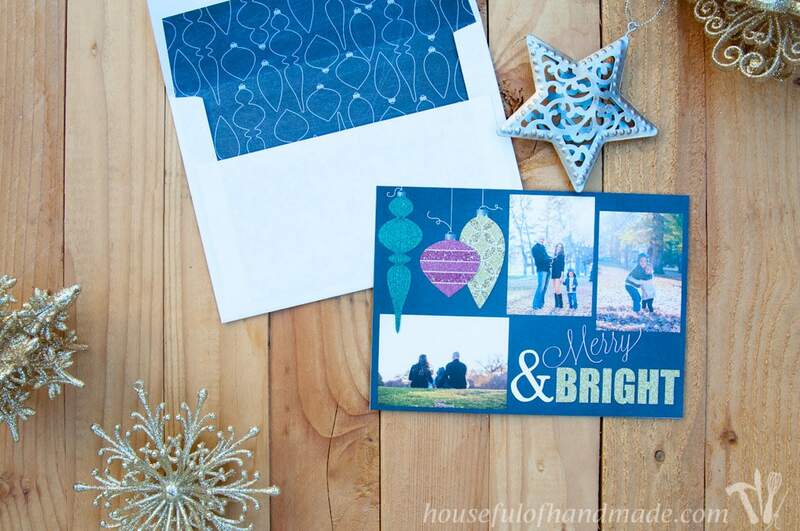 The one thing I always try to get done early, however I usually forget until the last minute, are our Christmas cards. I love sending out cards with our family photos. It’s the easiest way to share our photos with everyone we love. This year I got started on the Christmas card really early. I’m pretty proud of myself for that! Now I just need to wait a couple more weeks until we get our new family photos so I can insert them into the card (I made this card with photos from 2 years ago, time for new ones!). To start out this season of giving, I decided to share my Christmas card template with you. 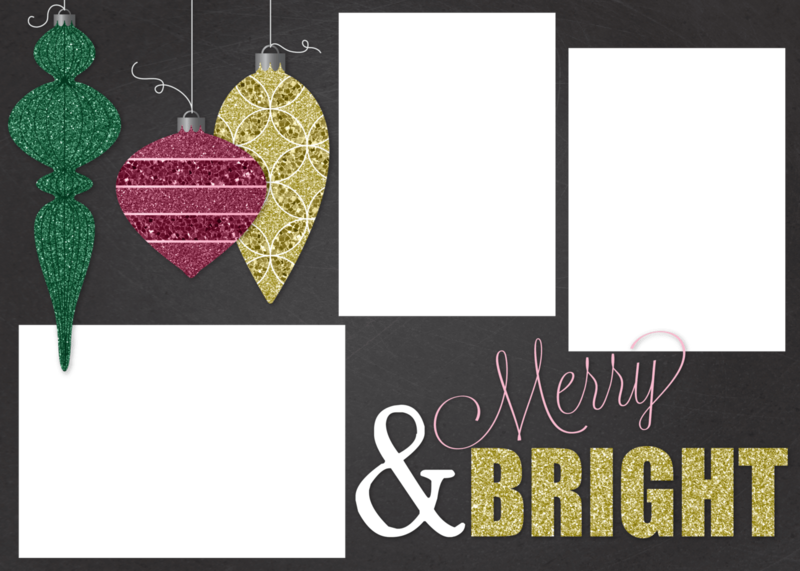 I made this free customizable Christmas card template so you can easily insert any 3 photos into it to easily make your own Christmas card. 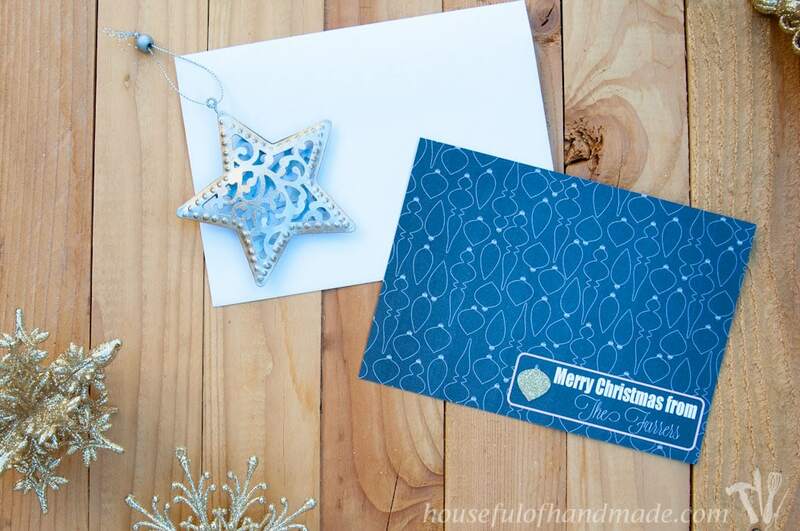 I love all the cute Christmas cards from the all the designer card stores online, but at $1.50+ a card, I cannot afford to send a card to everyone on my list. I still want the designer look but on my tight budget, so I have started designing my own Christmas cards. Then I have them printed at Costco or Sam’s Club for a fraction of the price. I can get 25 double-sided cards, professionally printed for less than $20! Or if I need to really save some money, I can print a single-sided card as a 5×7 photo for around $0.35 each. I like to print the nicer ones for family members who can keep the card for their yearly family picture. I print the cheaper one for people who we want to share the season with but they probably won’t keep the card past New Year’s. I can also share our card on social media to wish everyone a Merry Christmas. This the way I have been able to easily fit all the Christmas cards I need in my Christmas budget. 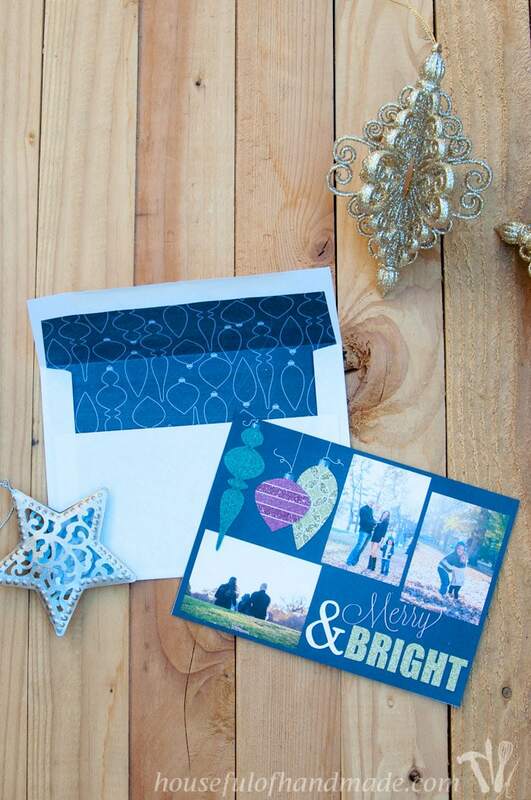 To use the Christmas card template, you will need to open it in any photo editing software. The template is saved as a .png file so that the openings for the photos are transparent. Then you can add your photos. 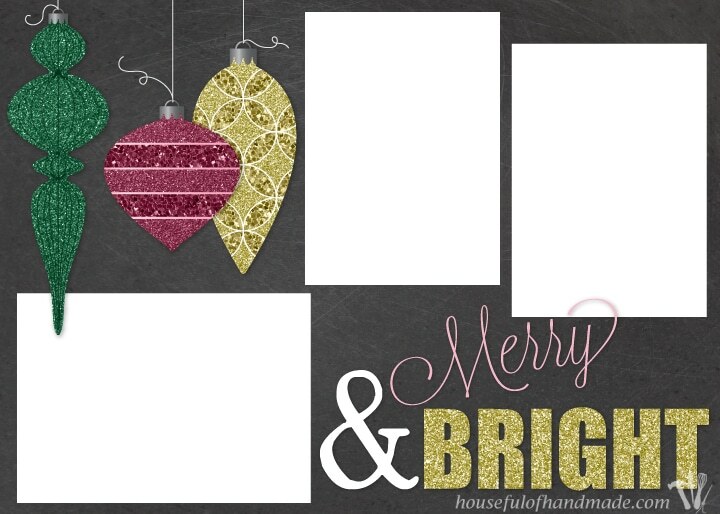 Make sure the photos are behind the template so that they are cropped correctly for the card. Then save your newly created card as a .jpg so that you can print it at any photo printing store. For the back you can add your names on the bottom with your favorite font. I love Lavanderia and it will match the fonts on the front of the card. To get the most professional card for the best results when printed, make sure you create and save your card at 300 dpi. Don’t use photos from Facebook or other social media sources because they will be only 72 dpi for faster web loading, but will not print nicely. You can use photos directly from your smartphone, most smartphones have a nice camera. If you have professional photos taken, make sure you have the permission to use the photos. You will probably need some sort of print release form from you photographer to show the printer to pick up the prints (I have been asked for it a lot). 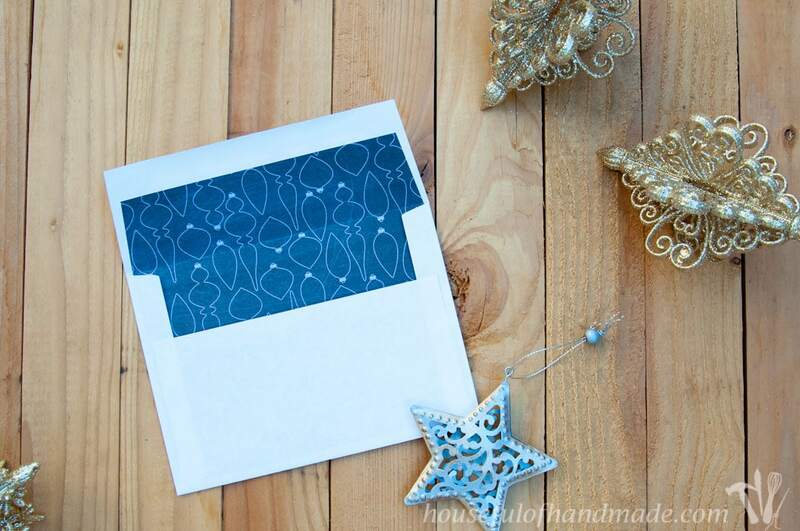 If you want to make your Christmas cards extra special, I also created a envelope insert to dress up an inexpensive A4 envelope. 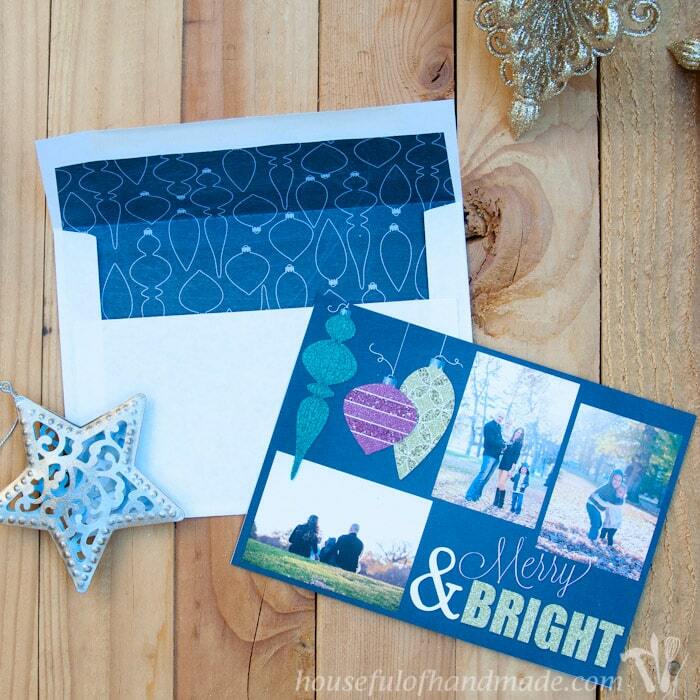 Adding a little pizzazz to the envelope makes the Christmas card even more special. And it’s super easy and inexpensive to do. I just print the envelope insert on a piece of printer paper with my home printer, then cut it out and glue it into the envelope. Beautiful! 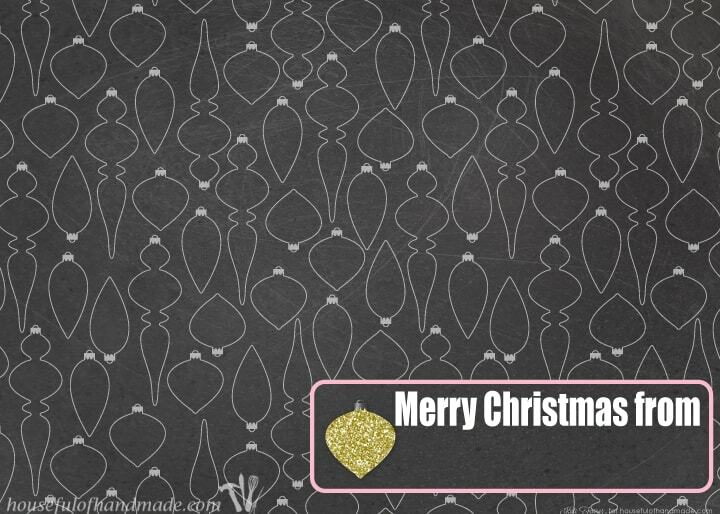 Now I am ready to get my cards ordered, on time this year, so I can get them sent out before Christmas! It’s the little things that make me so happy. Your cards are just beautiful! I might actually get my cards done before December 20th! LOL! Any chance you will make one that holds four pictures? I would love to put in a picture of each of my kids. Thank you Courtney! I am so glad you like the card. I’ll see if I can sneak in some time to make a 4 picture layout, but no promises yet. It’s been a crazy couple of weeks! No worries–I am sure you are really busy–just thought I would throw it out there! Have a great week! Hopping over from Inspire Me Monday. These are beautiful and so generous of you to offer this!! Hello Crystal! Thanks for stopping by.I’m glad you like the card, it was so fun to make!